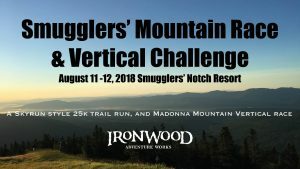 Smugglers’ Mountain Race is a weekend of stout mountain runs at their finest. 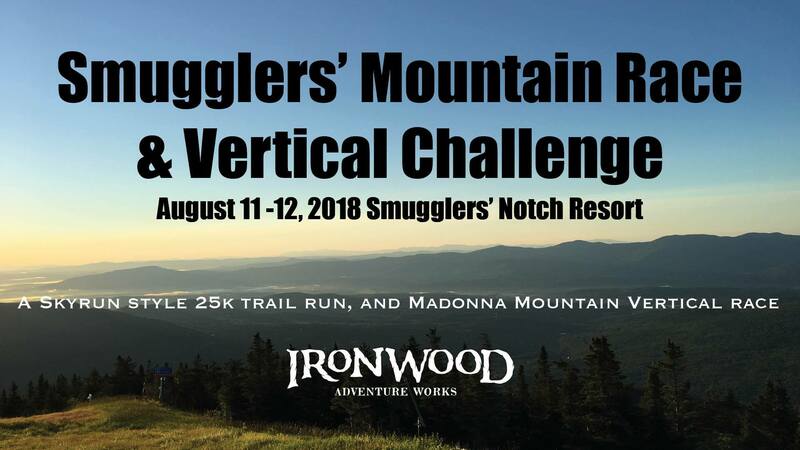 These are extremely challenging sky-run style mountain races located on the rugged slopes and trails of Smugglers’ Notch Resort, in Mount Mansfield State Forest! Both races climb to the highest point of land; Madonna Mountain, on the North side of Smugglers’ Notch via steep, unforgiving terrain. Loose rock, mud, slippery slopes and long unrelenting climbs with spectacular views should be expected. Two days of races, and two days of fun! Register here. Smugglers’ Notch Resort is one of the best family resort destinations you will find! In addition to incredible mountain trails, Smuggs offers infinite family fun! While you run, your family will be enjoying a weekend of water parks, zip lining, disc golf, and more! Room rate discount for race participants!